Faux leather jacket by EMILIA LAY with long sleeves. Made of top-quality, robust PU-coated material. Silver-coloured buttons, flap at the back and slanting zipped pockets on the front. With flattering panel seams. 100% polyester. Length in size 16 approx. 28ins. 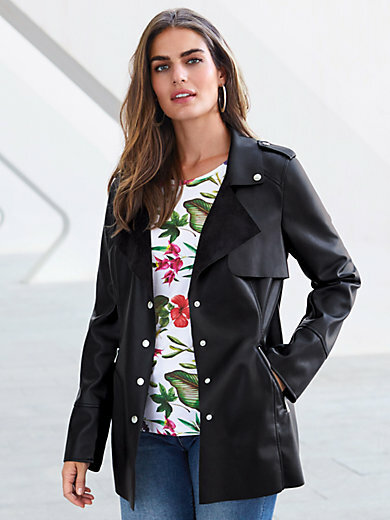 The faux leather jacket is machine washable.